Individual admission tickets for all Salem Film Fest film presentations cost $11 for adults and $9 for seniors, students, and children. Tickets can be purchased at the CinemaSalem box office (hours: Monday-Friday 4 pm – 8 pm and Saturday-Sunday noon – 8 pm). A limited number of tickets are available at PEM for films screened at PEM. Tickets for these screenings are also available at CinemaSalem and online. Please be seated in the auditorium when the show is scheduled to start. In the event of a sell-out, empty seats will be sold to waitlisted patrons. Tickets to films at PEM are NOT available for sale at PEM after 4:30. Tickets at the door for any film at PEM that starts after 4:30 MUST be bought online or at CinemaSalem. a) 2016 Friend of the Festival – All Access Passes provide admission to all festival screenings and events and include a donation to the festival that helps continue the success of the festival. NOTE: All Access Pass holders with ticket stubs also will enjoy the first opportunity (for a few moments) to take their seats before the rest of the audience is allowed into the auditorium at each screening. The potential value of this pass is more than $400; the actual cost is $175 for adults and $165 for seniors and students. b) All Film Passes provide admission to all film presentations at the festival, in all venues. These premium passes also provide admission to a special reception at the House of the Seven Gables on Friday, March 4. Purchasers also will receive an attractive and collectable Salem Film Fest 2016 t-shirt! The potential value of the pass is $400; the actual cost is $120 for adults and $100 for seniors and students. c) Weekend Passes provide admission to all films screened at the festival on Friday, Saturday and Sunday, March 7-9. The potential value of the pass is $242; the actual cost is $100 for adults and $80 for seniors and students. 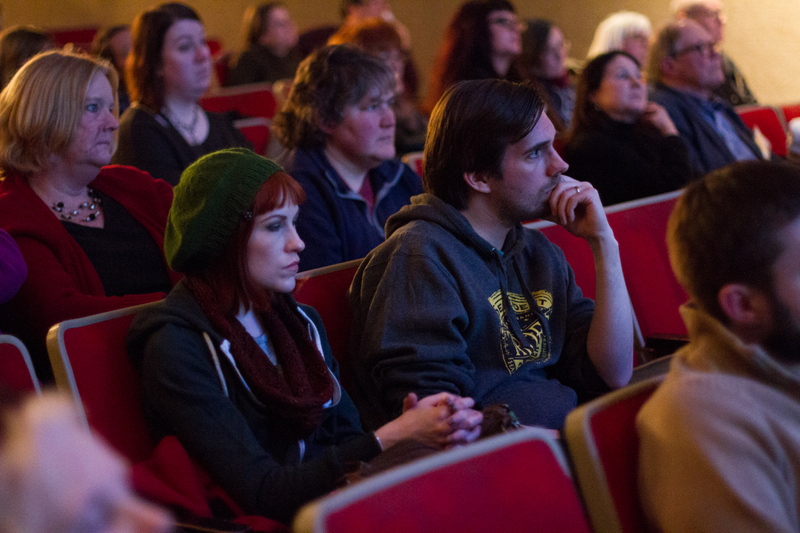 An important note about sellouts: Each year, many film screenings sell out at Salem Film Fest. To ensure seating, festival pass holders must stop by the CinemaSalem box office to pick up ticket stubs for each screening they wish to attend. This transaction can take place in advance. Group discounts are available to Salem Film Fest! If your school, group, or organization has a special interest in a particular film, there’s no need to pay full price. A discounted admission charge of $7 per person is available for individual festival screenings for groups of 25 or more. This group rate must be purchased in advance. The same admission discount is available for a group of 60 or more which desires to set up a special private screening (typically during the daytime hours) of one of the festival films. In the past, high school and college groups have taken advantage of this opportunity. If you’re interested in learning more, contact us for more information.